We celebrate all things California with our Beer of the Month, Anchor Brewing’s California Lager, a beer that is quite literally California history in a glass. The recipe dates back to 1876 from little known Boca Brewery located near Truckee, CA, which used a mountain ice pond to ensure the lager kept cold during the fermentation process. It’s brewed with 2-row barley and Cluster hops, a hops varietal you won’t find in many beers these days, but it was highly prevalent in during the 19th century. Perhaps the reason you don’t see Cluster hops much anymore is that this hop variety has a certain distinctive taste, which Randy Mosher describes in his book “Radical Brewing” as having “a certain sharpness often called cattiness”. I have to admit, “cattiness” doesn’t sound so good, but I found the Cluster hops to provide a distinctive earthy, grassy, slight herbal finish unlike anything I’ve tasted in other beers. The Cluster hops meld well with the lightly toasted, slightly sweet biscuit-like malt to create a clean, refreshing, and off-beat lager that grew on me after each bottle. 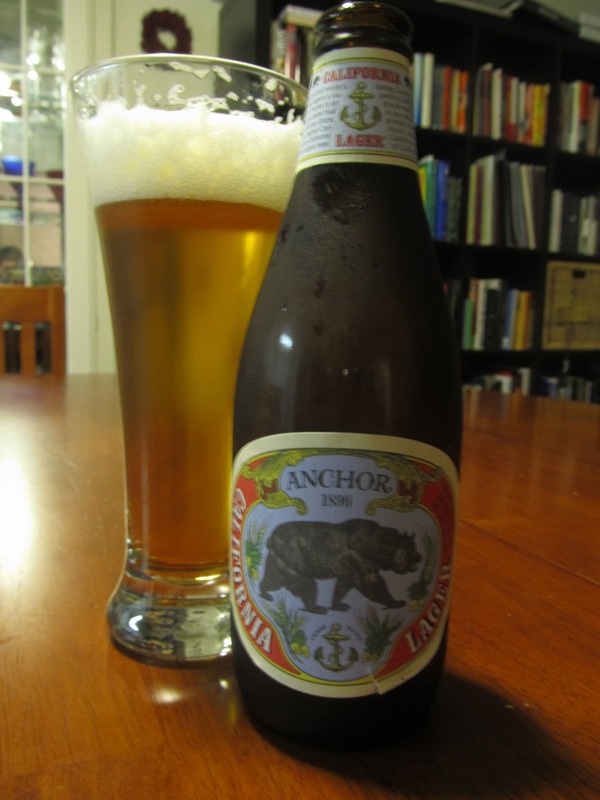 Anchor’s California Lager was originally brewed as the first beer of their Zymaster Series in early 2012, and due to its popularity, has been added to Anchor’s permanent line-up early this year. Anchor Brewing is donating a portion of the profits of California Lager to create the Anchor California Lager Grant, to be awarded by the California State Parks Foundation as a part of their Discretionary Grants program to benefit state parks. Sure, selling beer is a business. Kudos to Anchor Brewing for preserving California’s history and landscape as part of that business. Next Next post: Bribery by Bacon?